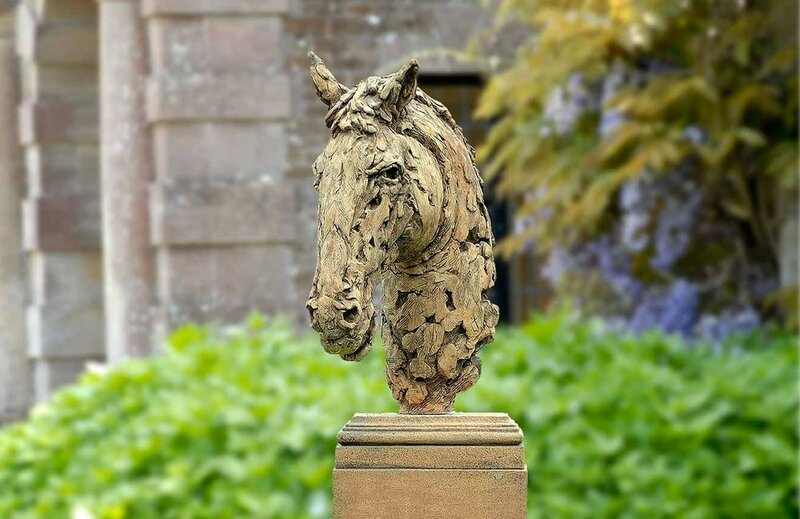 A contemporary horses head faithfully sculpted in the UK and cast in an antiqued reconstituted bath stone finish, suitable for indoor and outdoor use. The head on the small plinth stands 90cm high (2' 11½") and 62cm (2') nose to mane. Small plinth can also sit on large plinth to give an overall height of 174cm (5' 8½"). Large plinth 84cm(2' 9") High x 43cm(1' 5") Wide x 43cm (1' 5") Deep.